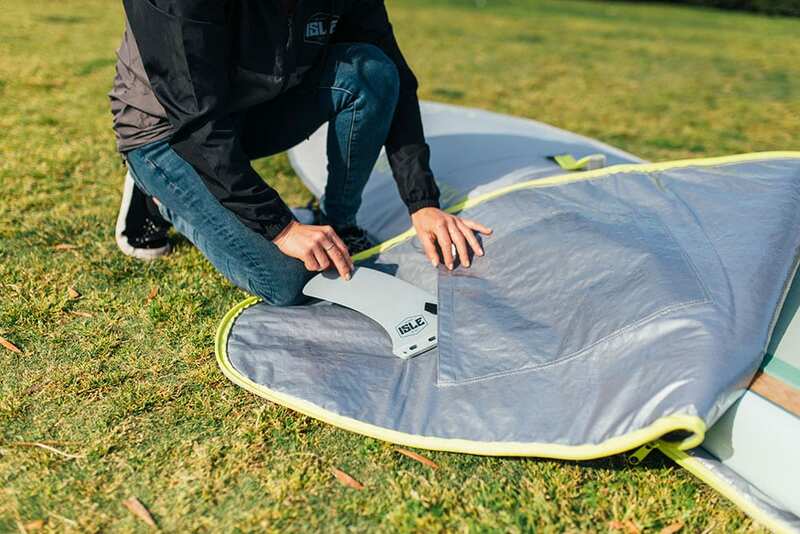 Protect your ISLE Voyager from dings and heat damage with our tailored touring board bag. 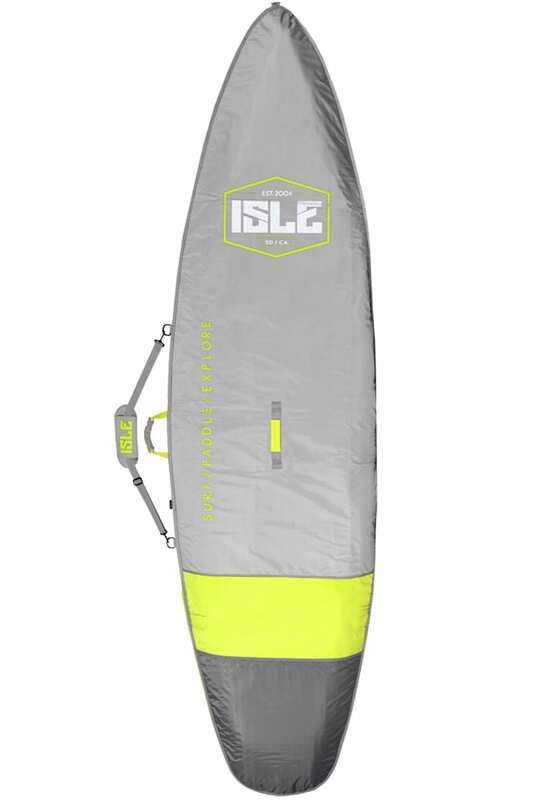 The ISLE SUP Touring Bag was designed to protect your ISLE Voyager during transportation. 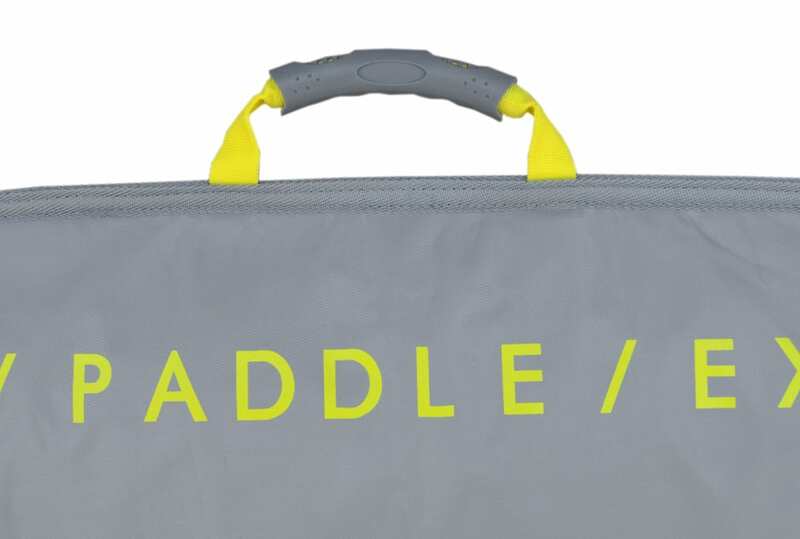 The bag is constructed with extremely durable and heat resistant polyester fabric. 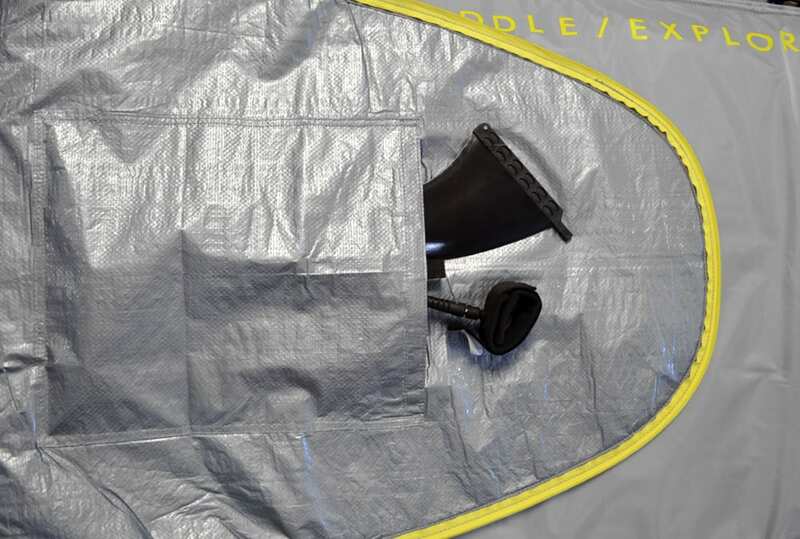 The bottom of the bag has a white heat reflective tarpaulin material and air vents to prevent heat damage. 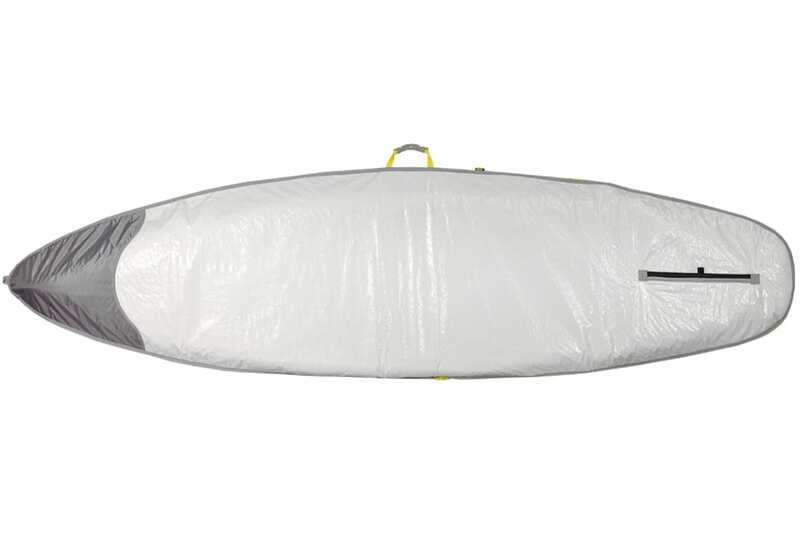 The entire bag has 5 mm of protective padding and reinforced nose/tail that gives extra protection at the most ding-susceptible areas. The non-slip shoulder strap works perfect for hands free transporting and is removable during travel. 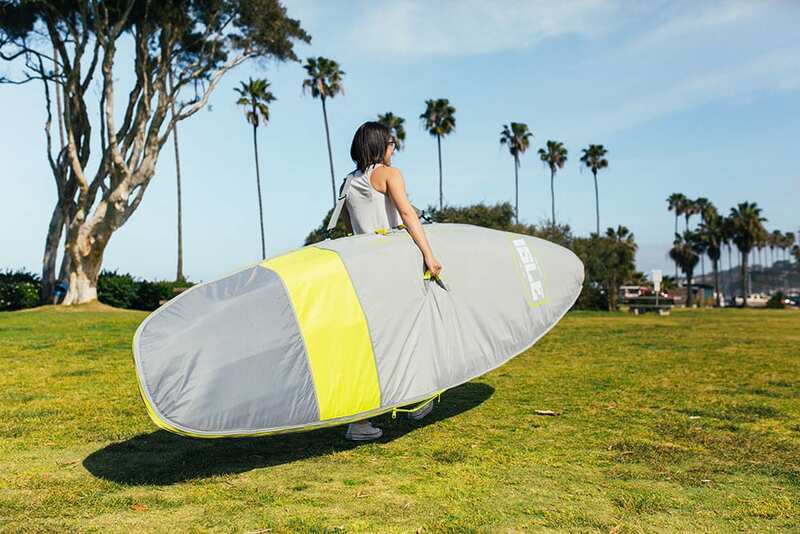 The bag’s two padded comfort grip handles will help with loading and unloading the board. Also included is a Velcro fin slot so you have the option to keep your fin on during transportation. 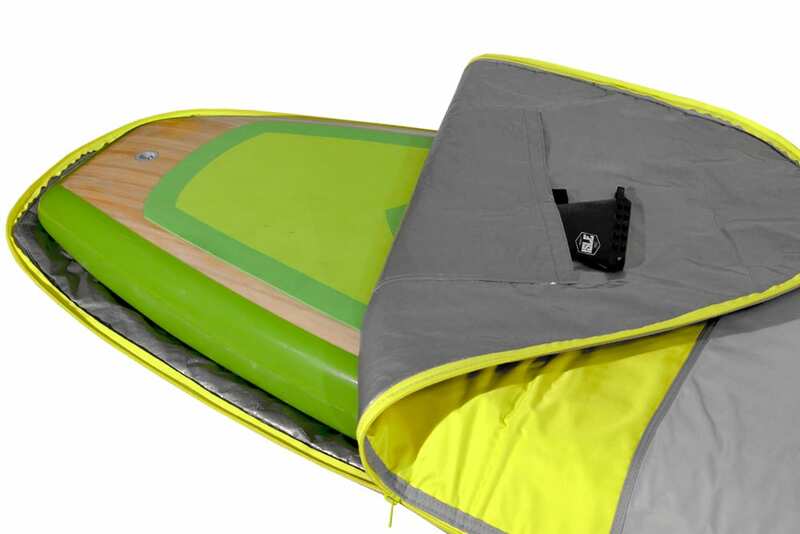 The heavy-duty corrosion resistant zippers provide full access to your board. 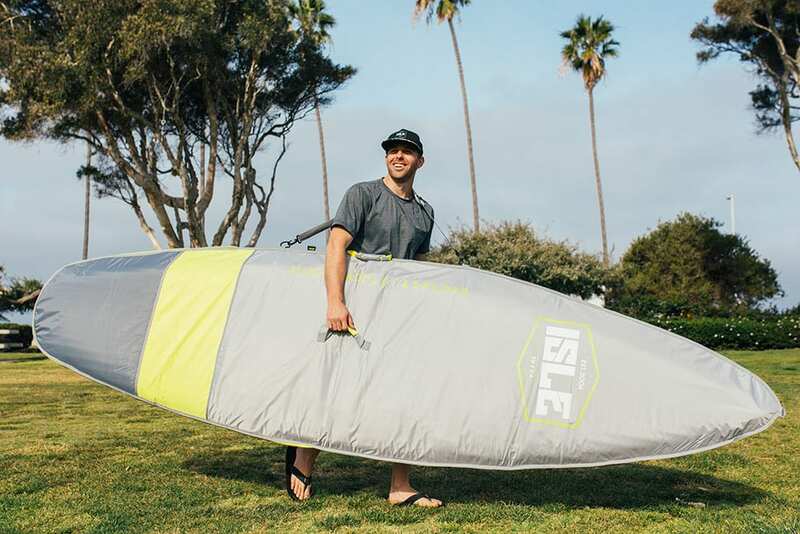 Combining superior craftsmanship, quality components and extra features, this SUP Touring Bag is the best choice to extend the longevity of your Voyager.